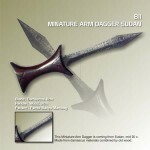 BALI BLADES, a knife maker from Indonesia, is one of the leading designers of handmade custom and art knives. Knives are more than weapons. They are also symbols of courage and honor. In Indonesia , knife can talk about the intensity relation between the knife and man’s character, the knife and nature, the art performance and the devotion to the ancestors and inheritance. We make the design of each pieces based on brave story behind it. 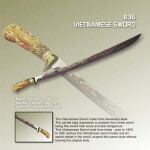 The inspiration for knives comes from epic tales of Indonesians. A knife that we create could therefore talk about the voice of the heroes from all over Indonesian Archipelago and reveals the beauty of it. These sophisticated, traditional design, yet functional knife are artistically combined with decorated and carved handles which were made of materials: deer stag, rare and strong woods, and buffalo horn. The handle is fits and comfortably and feels second nature in the hand. 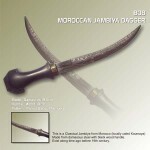 The ornate carving on the surface of the blade and on the hilt is made by hand and represent the uniquely carving style from each region in Indonesia, from Bali the Paradise Island, Java, Sumatra, Papua to Kalimantan the Wild Jungle Ever Island where knife is their lives. Pamor in its traditional forge. Each of Pamor with various patterns in and on the blade has a name. For obtaining these patterns there are different forging techniques. Therefore there are many alternatives and possibilities of Pamor patterns with high aesthetic quality coming all from the great skill of Empu, the smith who forges the blade. This combination insures a though, reliable knife that is superbly sharp and a work of art in beautiful harmony. With those strength points, we introduces exclusive design lines include hand forged functional knives and axes, stag hunting cutlery, steel swords, combat and tactical knives, dagger and skinner, fisherman’s fillet kits and antique knives. 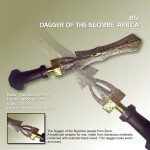 It is believed that our antique knife holds the mysterious aura of the soul of the ancestral user and magic forces. The most common blade material used to make knives is iron and carbon that is enhanced with a variety of elements such as chromium, vanadium, manganese, and more. Different types of steel are created by adjusting the amounts of each material that is added. Stainless steels, for instance, are created by adding more rust resistant materials. Finishing processes play a large role in creating blade steel. Processes such as rolling and heat treating have a great affect on performance. Each material performs differently under varying finishing processes. We use certified and high quality materials as follows. 440 C is stainless steel with high enough carbon and high chrome contents 60 Hrc maximum hardness. It is resistant to rust, but when it gets dull, this material is difficult to re-sharpened This is a stainless steel that is used on many factory manufactured knife blades. It is very tough and extremely stain resistant. It holds an edge well and is fairly easy to sharpen. 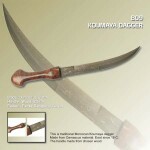 It is generally hardened to between 56 and 59 Rc., and makes a great all around blade. 440C is far superior to most other 400 series steels. 440A and 440B are not as good. Currently, this is the most excellent steel with high carbon and high chrome contents 60 to 61 Hrc maximum hardness and free from rust. It is high recommended for knife manufacturer although it is not so easy to be re-sharpened. Its chemical composition is C= 1.03% ; Si = 0.25% ; Mn = 0.41% ; Cr = 13.74% ; Mo = 3.56% ; P = 0.001%. This is a stainless steel that comes from Japan and is very similar to The U.S.’s 154CM. 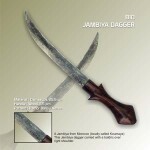 It became very popular with knife makers in the 1990’s as a higher quality alternative to 440C. The steel is not as rust resistant as 440C, but holds a better edge. The carbon content is 1.04%. It works best when hardened to between 59 Rc to 61 Rc. It is a type of steel that produced through dying of two layers Iron with Nickel, with different color, and then folded, heated and hammered repeatedly and folded up to 64 in normal blades and 4098 in very high quality ones to obtain intended pattern. After that the blades must be polished using different grain stones and carefully tempered. In the final phase the Pamor pattern is revealed with a solution of lime and arsenic powder. The end result is a tough blade with good edge quality. It is quite expensive and used mostly for its artistic nature. Our workshops are located in Bandung-West Java and Jakarta, Indonesia. There are 40 professional workers with good experience in making knife manually. The technique of sharpening and cutting is under guidance from Institute of Technology Bandung. Now our current production capacity is about 300 knifes monthly. In 2004 we got GOLD AWARD OF INDONESIA GOOD DESIGN SELECTION 2004 held by UNESCO. (OTHER AWARDS SEE: Testimony page / certificates).